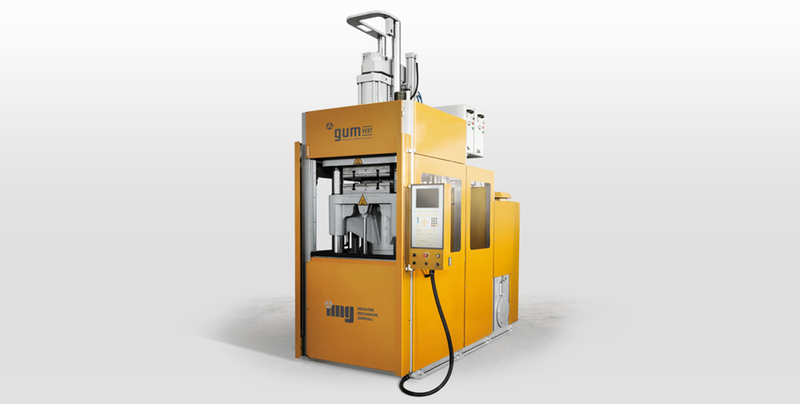 Vertical injection moulding machine for rubbers with Hydroblock clamping unit and reciprocating screw injection, or injection unit with screw parted from the piston, or with FI.FO system. 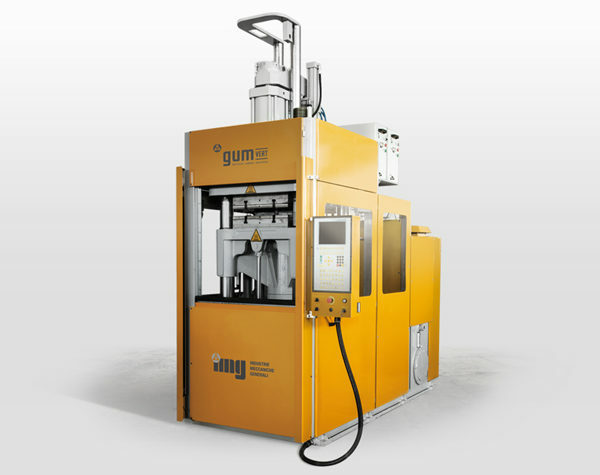 Clamping unit, from the bottom to the top, with synchronised upper and bottom frame. Half-mould exit with optical barriers safety device. Screw+position injection. Solid silicon hopper and screw piston unit.